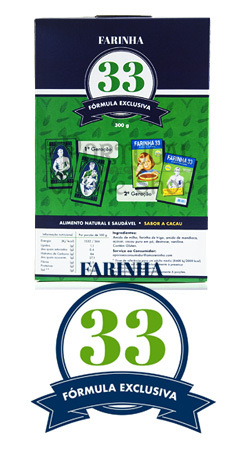 Farinha 33 - " Eat Farinha 33, and you'll be strong as 3! " 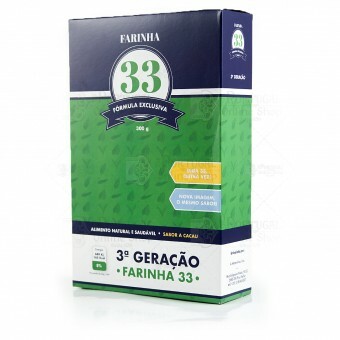 Farinha 33 is a family flour, ideal for breakfast, and can be consumed as a porridge or drink, mixed with milk, water or coffee. 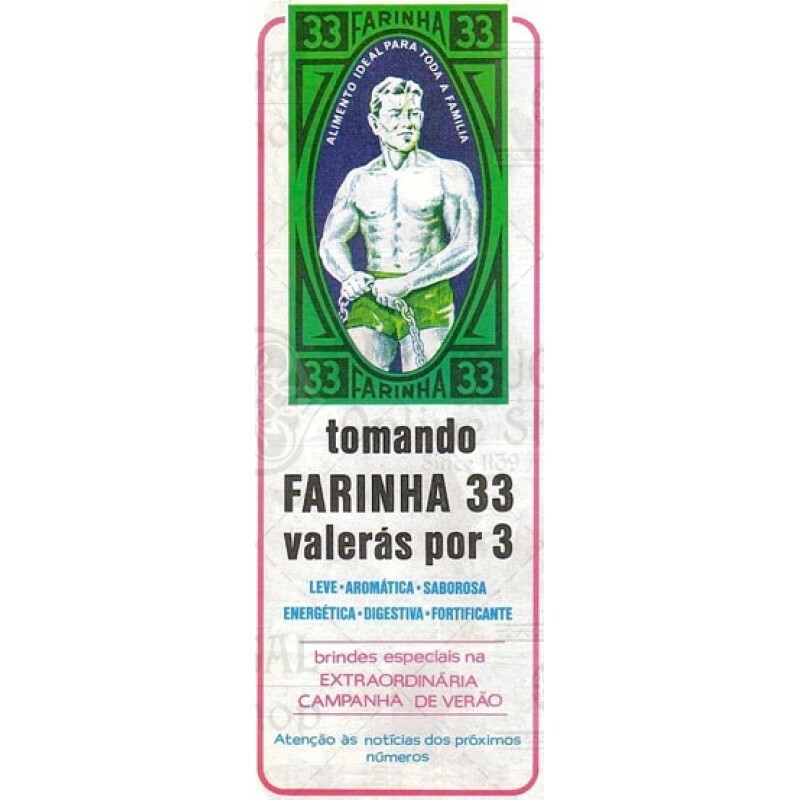 A Portuguese product dating from 1937, with an exclusive and energetic formula, 100% natural, with cocoa flavour. 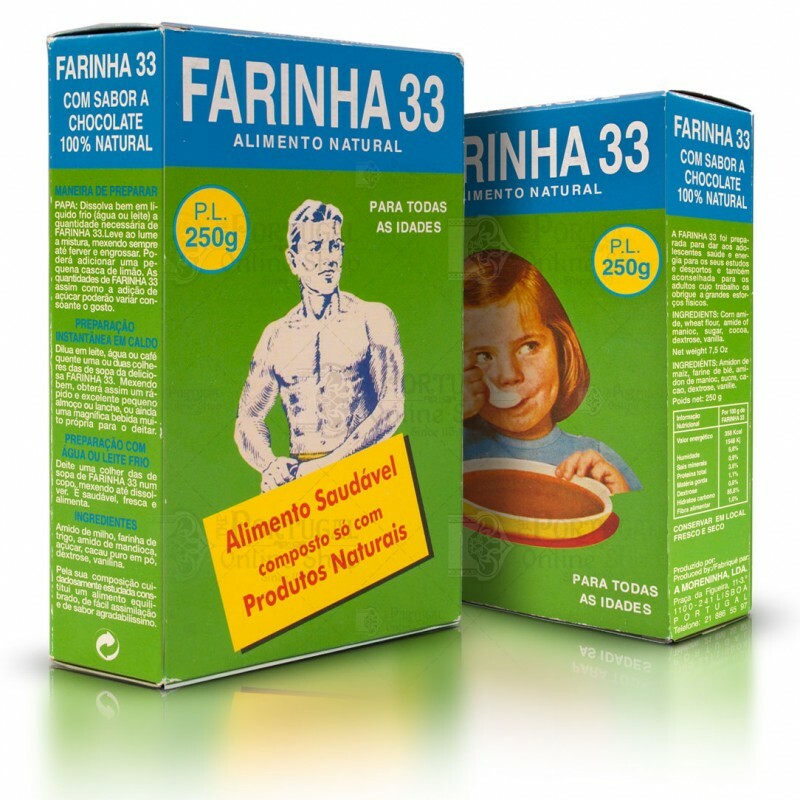 - Cocoa: Rich in aminoacids, vitamins and antioxidants - Soothing, antidepressing and brain activating. 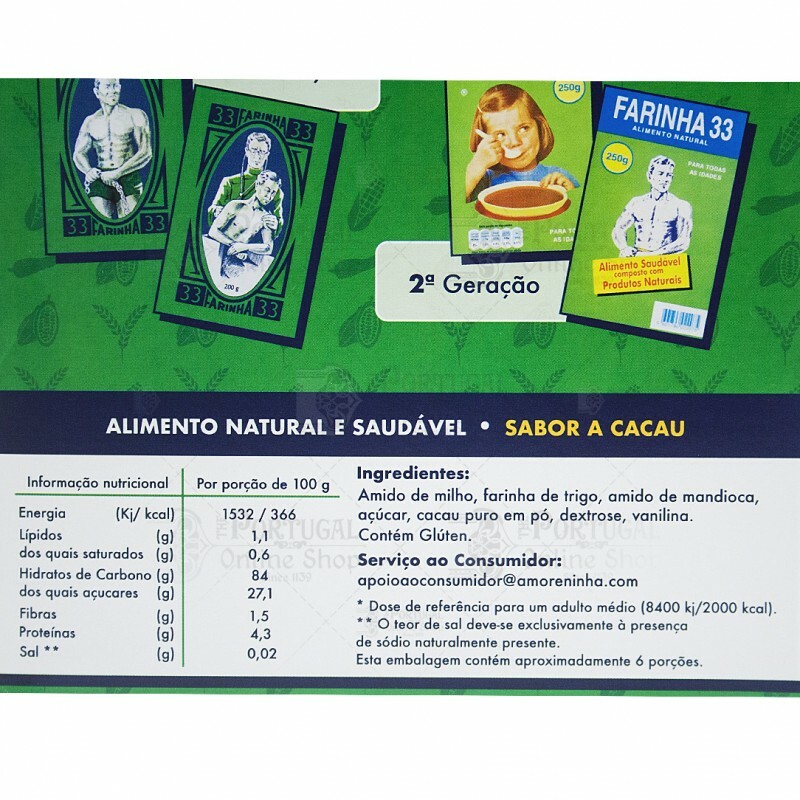 Reduces the risk in heard diseases by raising blood circulation. 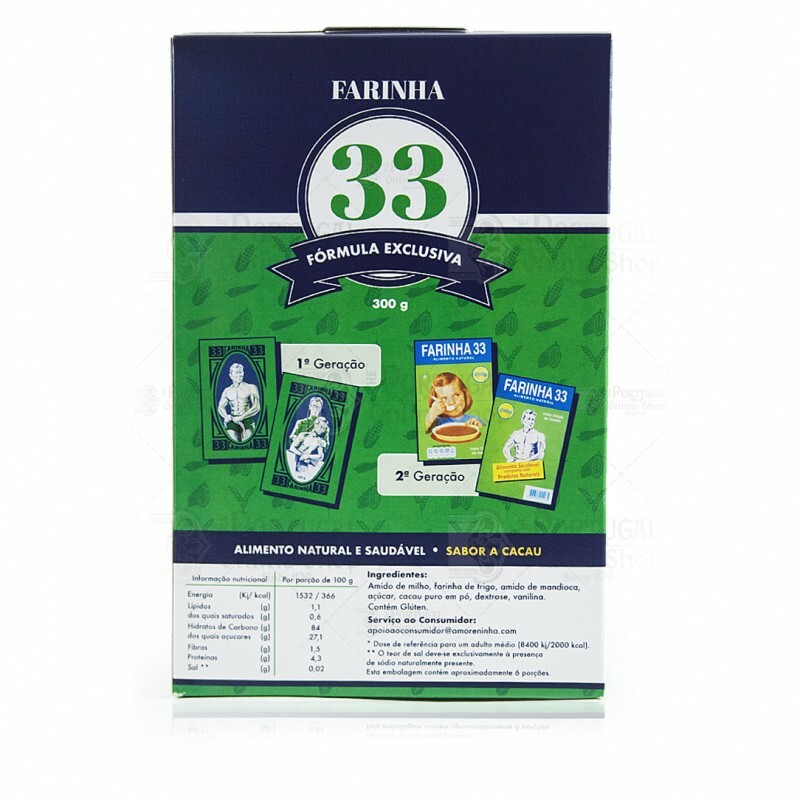 - Corn (non GMO): Originary from Central America, highly nutritive element and the most grown in the world. 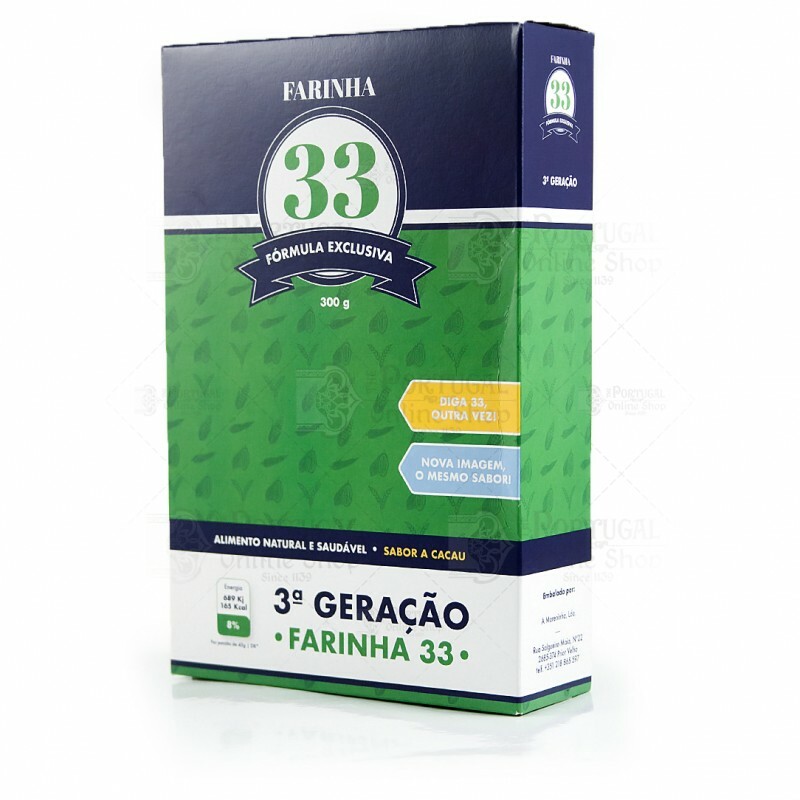 Rich in vitamin A, B1 and B3, potassium, folic acid and fibers - helps controling cholesterol, blood pressure and immunitary system, as well as the nervous system. - Wheat: Rich in carbs, fibers, magnesium, Vit E, B and zync - Levels diabetes, reduces heart diseases and mantains a proper digestive system. Dimensions: 14,5 x 9 x 3 cm.